The territory of Kurdistan, today splits some parts of Iran, Iraq, Turkey and Syria; the division decided after the First World War has caused a terrific break-up of many families that once lived in the same context. This is particularly visible on whole the boundary line between Turkey-Syria and Iran-Iraq. 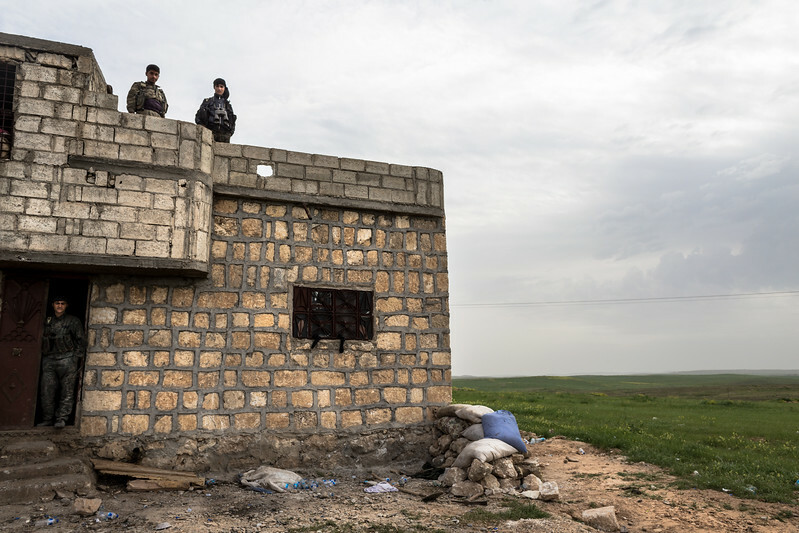 When I heard about the Islamic State’s siege on Shingal city in Iraq and later on the Kurdish city of Kobane, in northern Syria, between summer and autumn of 2014, I got really scared about some Kurds I met during some of my travels in Kurdistan. In October 2014, I therefore flown to Turkey, thanks to my active collaboration with “The Kurdish Red Crescent Moon”, a Kurdish NGO based in Europe, which has given me some contacts of other non-governmental organizations working in Kurdistan. In Turkey I started to follow the situation of the Kurds on the border with Syria. In that days, I began to live, in some tents built by some local Kurdish administrations, with some people fled from Kobane, which was hardly sieged by ISIS. Shortly after the liberation of Kobane, I took the decision to enter in the destroyed city. It’s properly from here that born the idea of developing a long-term visual project about the Kurdish population following also part of them in their fugue towards Anatolia and Greece trying to reach some other European countries.